First of all, what is business attire? It is by definition the outfit you wear in your workplace is the business attire. This most commonly includes the suit, formal shirts, and pants. With the word business outfit, you get the vibe of formality and therefore it is always safe to stay with the professional look. Formal wear for men is of different types depending on the place and season. For summer months you cannot just wear a casual shirt and jeans to your office. Many offices have strict attire guidelines that need to be followed throughout the year. Even if your workplace does not have any such guidelines, it is always advisable to follow the professional dress code. Suits in neutral shades such as black and navy. They are great for any business meetings. For shirts stick to the light shades such as blue or green. And to complete the look go for shoes in dark shades or you can also wear loafers in summers. Business attire or formal outfit means you need to create a sophisticated as well as a professional look. 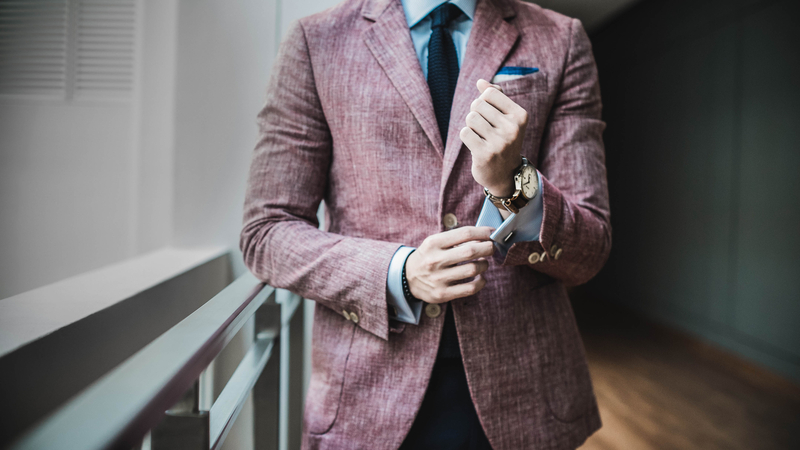 If your office requires you to follow a strict formal outfit then you need to be prepared to include waistcoats, ties and formal suits to your wardrobe. But in summer many offices allow casual dress code that is the right blend of elegance and professionalism. This means you can wear ditch the tie or suit and just wear a polo shirt paired with chinos and loafers. Here are some of the best summer styles for business outfits. You can never go wrong with the classic form of style. Especially from Monday to Thursday, you can get a traditional suit for yourself in fine fabric that is suitable for summer heat. Opt for a simple navy or grey suit for a simple yet professional look. You can play with colorful ties if you want to add some colours to your attire. Derby shoes are perfect for this type of wear as they give you the office-ready appearance. 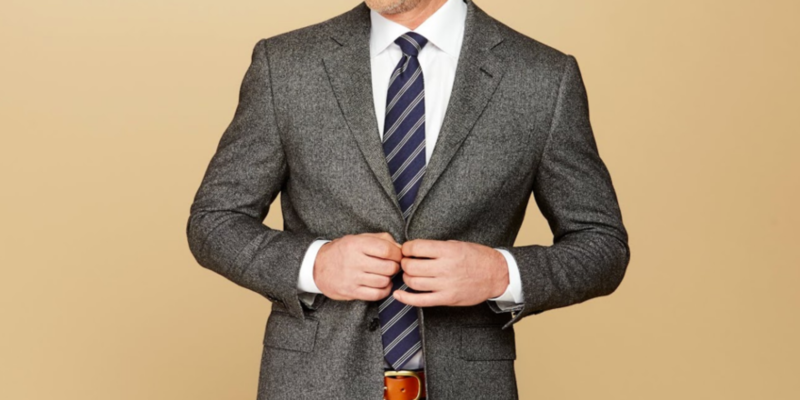 No suit jacket will be perfect for the casual look. Add linen or thinner cotton fabrics and wear light hues for shirts and pants. You can also team classic trousers with a white full sleeve shirt without the tie to create an air of casual look, yet the formal appearance is intact. Chinos are a great alternative in the summer months as it gives you the comfort feel as well as the formal look. With a crisp shirt and loafers or brogues, you can work with chinos nicely for your workplace. Summer months are a bit challenging when it comes to business outfits. But with the following tips and ideas, you can style your workwear and mix up the summer look nicely. From cotton shirts to chinos, formal wear for men does not have to be a boring and outdated look. You can have your own style and fashion statement without having sacrificed your business standard outfit. There’s always a way to look great in summer.